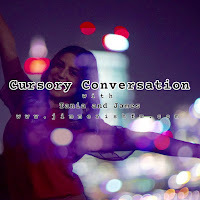 In this week's Cursory Conversation Tania fights spiders and pick up stories while James talks her in circles about Free Will. This episode contains spoilers for "Tim's Vermeer". That inspired the film "The Double"